Looking for a Sportive ride, trail running challenge, a weekend of guided adventure or training camp based in the North West of the UK in 2019 ?? Come and share some of our very favourite routes and places throughout this amazing area we call home. Which includes The Lake District and Yorkshire Dales National Parks, and the lesser known Silverdale, Forest of Bowland and Howgills. Come for the day or maybe have a weekend away, check out some great SPECIAL EVENTS and overnight ideas on our ASSOCIATES page – or let us find you the perfect place to stay, just ask – we live here. Then all you have to do is show up and relax – we’ll take care of everything else. Come and discover some of the best places to cycle in England. We don’t need to close the roads on our routes – as they are truly remote and practically traffic free. Your place is assured as we have no lottery system to enter our events. Book yourself a place on one of our sportives, challenges or training camps in North West England. Then get out training to take your riding to the next level ready for your chosen challenge, so on the day – you can relax and enjoy some amazing riding along our favourite routes – which are among the best and most challenging in the country. 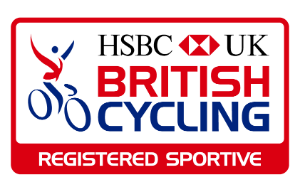 All our cycling events are registered, overseen and insured with British Cycling. Or – why not join the Top Dog Events team and help us out on event days – you will be very welcome. Looking for a new running experience?? Come and explore some of our favourite places to run. We are local enthusiasts who organise running events, guided days and training weekends on our local trails throughout the great place we live in – which includes The Lake District and Yorkshire Dales as well as the lesser known Forest of Bowland, Lune Valley, Howgills, Silverdale and Arnside. Once you have entered a running event, challenge or training camp in UK ‘s North West England – you can look forward to joining fellow enthusiasts, to explore some of the finest locations in the country. Join us for a special adventure challenge event this year.